. 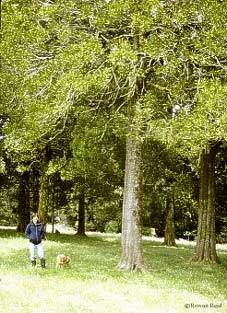 : Farm Forest Line - Tree species for farm forestry :. There are thousands of species to choose from and almost as many criteria that may be used for selecting the most appropriate type of tree. Selecting the best species mix for any planting will depend on the site, the anticipated benefits, the management options, confidence in performance and any uncertainties or risks. Introducing new species into an area carries with it a degree of uncertainty as to their likely performance and may result in unforeseen problems. Exotic or non-indigenous trees can become problem weeds in certain circumstances, or may interbreed with the local native species thereby polluting the local gene pool. Would like not to haves: attributes the farmer would prefer the species did not exhibit. We have listings of tree species information online and in print. If you cant find what you are looking for, contact us. If you know of species information that should be added to our list, please let us know.